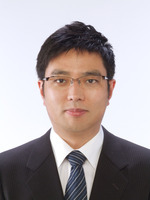 Professor Yoshihito Watanabe, Associate Professor Osami Shoji, and their co-workers at Nagoya University have successfully developed a single step method to transform benzene into phenol. Their paper was published online inAngewandte Chemie International Edition on May 7, 2013. The research covers the frontispiece of the edition and has been receiving world-wide attention. Phenol is a key intermediate produced in industries for the synthesis of drugs, dyes, and functional polymers. It is currently produced by a method that involves high energy consumption and significant formation of side products such as acetone. 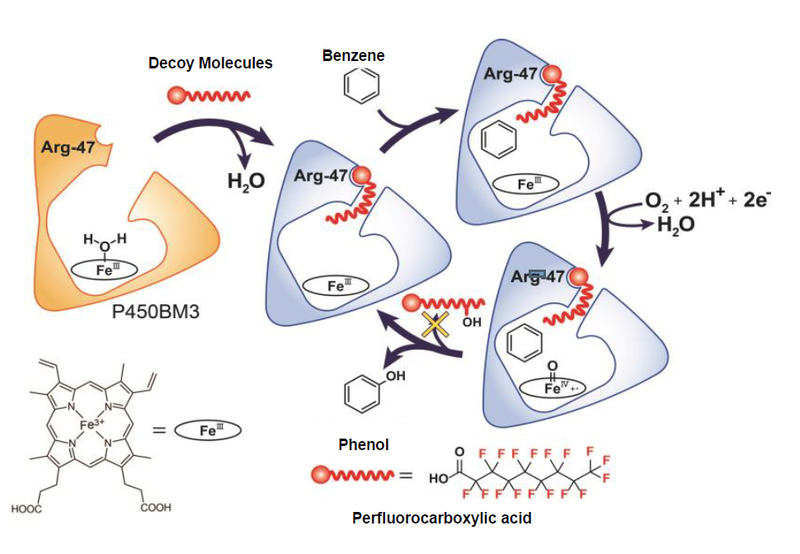 Therefore, development of a new method that allows direct hydroxylation of benzene to phenol has long attracted much attention. The research group focused on an enzyme that is activated only when induced by a specific compound. They made the enzyme absorb a decoy molecule and consequentially succeeded in triggering bungles. As a result, benzene was converted to phenol in one step at an ordinary temperature and pressure. This method can be time and cost effective for benzene-phenol conversion when compared with the conventional method. Moreover, no by-products were generated in the transforming process by the new method. The research uniquely uses natural enzymes to produce chemicals, while the world predominantly produces and uses genetically modified enzymes. The research group is widely expected to produce various chemicals by this method and apply it in industrial practices. 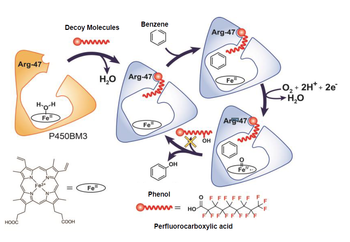 A great number of biocatalysts exist in nature. Prof. Shoji initiated the research because he believed that in order to transform chemicals using biocatalysts, it is necessary to understand their structure and develop a practical method for utilizing them. He aims to develop an effective use of biocatalysts and eventually contribute to an environment-conscious society. "I would like to create a next generation of 'decoy molecules', which will allow transformation of various substances. At the same time, I will make the method we developed fit for practical use." "I sometimes think that researchers should be creative like artists. Of course, academic life is important, but I wish you would try a bunch of different things in youth and cultivate sensitivity. Many people have been telling me, 'When in doubt, take a step forward!' I hope you would join us and I am looking forward to seeing the next generation of young researchers with full of inspiration."